You are here: Home / business / What’s the most important page on your website? What’s the most important page on your website? Just a quick one. What do you think is the most important page of your website for Sydney small business? Well, actually it’s kind of a trick question. Most people would answer with their most visited page. But the most important page is probably not the same page, and we’ll go into the reasons why below. So what do you think that means for your business? Your most visited page on your website is your Home Page. Whether they find you via search, or seeing your URL on promotional material, or are referred by someone, most people land on your home page. It’s probably a well designed page, it has your logo and a blurb. Potential clients get a good overview of what you do, what your specialty is. They have feel for whether you could probably solve their problems. But especially in the professional services industry, your clients aren’t ready to buy just yet. That’s why as Sydney headshot and branding photographers we know that creating a profile photo that connects with your client is of utmost importance. You have a split seccond to gain their trust and show your qualities. At this point your potential clients have an interest in what you do and figure you could possibly help them. Your home page looks professional, that’s great, but so do all of your competitors’. As does anyone who bought a template website for $50. You could be moonlighting from your bedroom for all they know. Your potential client needs a little more. How does someone who is not an expert in your field, figure out if you are competent? Why should they go with you and not someone down the road? At this point, it all comes down to trust. So the very next thing your new client does is click on your About Page. Why the About Page you may ask. In professional services, people don’t just buy a product off the shelf. They are working with you to solve their problems. People want to work with someone they like, they can relate to, they can talk to, they can trust. They want to know if you’re in the Eastern Suburbs or the Northern Beaches. Say you’re looking for IT professionals. The photographs above show the team as professional, friendly, guys you can rely on. They look relatable and they aren’t going to drown you with tech speak. The hint of their office environment in the background subconsciously reassures a client they are a real business that can be trusted. Say you’re looking for a lawyer. It’s probably a daunting task as there are so many in Sydney CBD alone. You’ve seen so many movies, you’re a bit scared of the legal speak and you don’t know who’s good. Seeing the photographs below immediately relaxes you. They look helpful. They are professional and competent. They look friendly and approachable. You feel safe enough to pick up the phone and make that initial enquiry. In the age of information, every profession feels like their industry is flooded with competitors. Clients know what you do, and know all your competitors. So as a service professional, how do you get clients to pick up the phone to you first? A recent survey found that trust, and likeability, were placed well above price as important factors that determine who people hired. 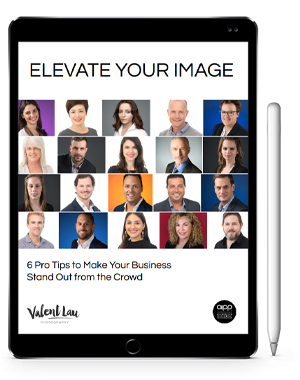 By building a connection with photographs throughout your website, clients will feel like they know, like, and trust you. By the time they reach your contact page they’re sold. They have no hesitation in giving you their contact details. Your initial conversation is so much easier when they feel they already know you. Your competitors won’t even get an email. How would that advantage help your business?